Flexible ultrafine tip, fast and smooth, writing experience more realistic. 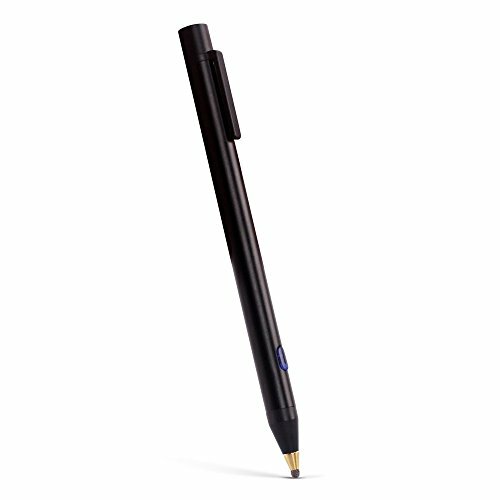 2.3mm fine point stylus with a durable thermoplastic tip, Flexible ultra fine tip, fast and smooth, writing experience more realistic. Works with the top apps : DotPen works works with any app, including popular apps such as ZoomNotes, Evernote, Paper by FiftyThree, ProCreate, and many more. Built to last : Awinner Pen is made of precision CNC machined anodized aluminum alloy with a durable soft-touch rubber writing grip.